Where you depart from will make a big difference in your travel time to Cuba: a traditional ferry from Port Everglades to Havana would take about 10 hours one way, according to Direct Ferries. However, Baleària plans to operate a high-speed ferry between Key West and Havana that would make the crossing of the Florida Strait in just three hours. 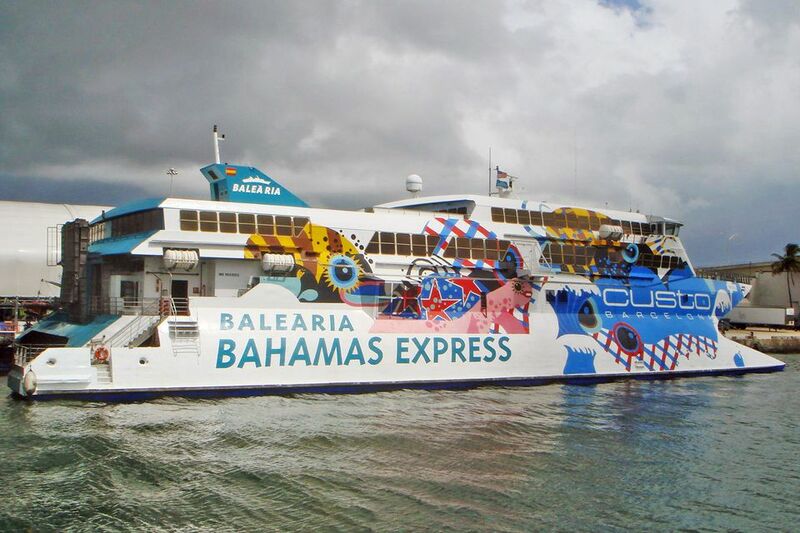 Baleària already operates high-speed ferries between Port Everglades and Grand Bahama Island (billed as the Bahamas Express) and has proposed building a $35-million ferry terminal in Havana -- again, pending approval of the Cuban government. Ferry service from the U.S. to Cuba is not new: several ferries made daily runs between South Florida and Havana into the early 1960s, with Miami being a popular place for Cuban families to come and do their shopping. The approval of new ferry routes between the two countries is a step behind other transportation links: for example, the cruise ship Adonia, part of Carnival Cruise Lines' ​Fathom Travel fleet, docked in Havana in May 2016 on an excursion from Miami -- the first such landing in nearly 40 years.